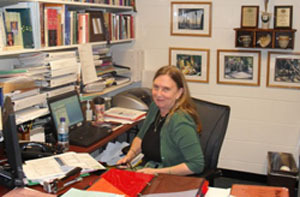 Sara E. Green is Director of the Interdisciplinary Social Sciences Program and Professor in the Department of Sociology at the University of South Florida. She has interdisciplinary research and teaching interests that center on the global experience of health, illness and disability across the life course including: identity, community participation, humor and the arts, stigma, health beliefs, organizational membership and satisfaction, and care giving and receiving. She holds undergraduate degrees in Sociology and Education and graduate degrees in Sociology. In addition to the ISS and Sociology programs, she is affiliated with the Florida Center for Inclusive Communities, and the Department of Women and Gender Studies at USF. Her work has been published in a number of edited volumes and a wide variety of peer reviewed journals. She is past chair (2016-17) of the American Sociological Association (ASA) Section on Disability & Society and past co-chair of the ASA Committee on the Status of Persons with Disabilities in Sociology (2012-2017). She is co-editor, with Sharon Barnartt, of Sociology Looking at Disability: What Did We Know and When Did We Know It?, Research in Social Science and Disability, Volume 9 (Emerald Group Publishing, 2017); and co-author, with Shawn Bingham, of Seriously Funny: Disability and the Paradoxical Power of Humor (Lynne Rienner, 2016). She is the recipient of the American Sociological Association Section on Disability & Society award for Distinguished Career in the Sociology of Disability.